If you’re looking for walk-on dry carpets in just one hour, you will only find it with MyHome Carnegie. This is because we make use of a highly sophisticated dry-touch carpet and rug cleaning system. Our cleaning systems are infused with Healthguard which helps rid carpets of mould, fungi and bacteria. Our cleaning methods also restore the brightness, colour, softness and natural balance to your carpet. 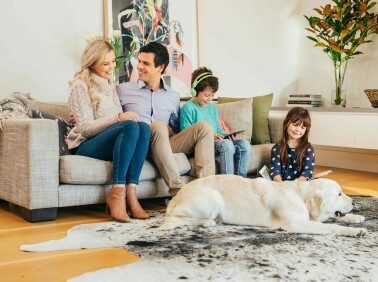 MyHome dry touch does not leave behind wet carpets, bad odours and a strong smell of chemicals after cleaning. All you will experience with us is a light, fresh and lemony fragrance. In order to avoid shrinking of carpets, we avoid harsh chemicals, excessive heat and excessive amounts of moisture. A good vacuuming is also done prior to each and every MyHome carpet dry touch cleaning service to ensure the best results. Many people in Carnegie who choose to carpet their floors do so due to the insulation and cozy feeling that carpet brings to the home. This can also help to save money on your energy bills. Alternatively, carpets do have their aesthetic benefits as well. You can find carpets in a variety of different materials, colours, designs and styles. However, one thing you should know about carpets is that they are harder to maintain than tiles. So, if you have carpets in your home, the best thing you can do to keep them in tip-top shape is to hire a professional carpet cleaning company, regularly. Professional carpet cleaners make use of specialised equipment and detergents which will ensure the lifespan of your carpets. So if you would like to keep your carpets looking good for as long as possible, then investing in MyHome carpet cleaning Carnegie will definitely do so. Our evolutionary dry touch cleaning system will ensure that your carpets stay looking great and smelling fresh for as long as possible. One of the main benefits of using MyHome carpet cleaning Carnegie is the fact that we don’t use harsh chemicals, tons of water and heat on your carpets. However, we still do a great job of getting your carpets disinfected, sanitised and looking and smelling great, not to mention dry in only one hour. 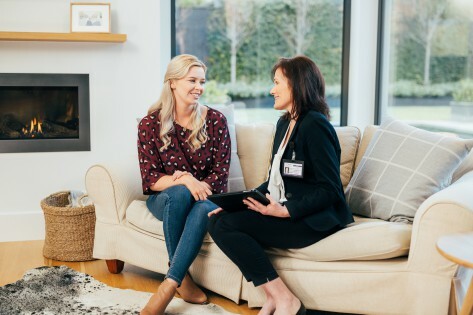 We are 100% committed to service excellence, and this is why we will give you a cleaning session completely free of charge if you are not entirely happy with our carpet cleaning services. For some people, cleaning carpets may seem like a straightforward and simple matter, however for others it can be a challenge. Finding the right carpet cleaning company is also a challenge. Many companies these days use hot water extraction systems and lots of harsh chemicals on your carpets. This, in turn, can damage your carpet and leave behind lots of other nasty residues. So if you want carpets that are clean, disinfected and smelling fresh go ahead and give us a call on 13 22 31 or fill our online enquiry forms for a free no obligation quote. What are you waiting for?